Thank you for being a member of the College Art Association, the world’s leading professional association for the visual arts. As a dedicated member of CAA, you know firsthand about the important work that CAA does to serve and enhance the visual-arts community. We could not do this without your support. Today, I ask that you join me in celebrating all that CAA does with a gift to the Annual Fund. Beyond CAA’s ongoing advocacy efforts; vital professional documents like CAA’s Standards and Guidelines; critical projects like the Code of Best Practices in Fair Use for the Visual Arts; prestigious publishing grants for book manuscripts; career-development resources including the Online Career Center; Professional-Development Fellowships in support of promising artists, designers, craftspersons, historians, curators, and critics; important new writing and scholarship published in The Art Bulletin, Art Journal, and caa.reviews; and CAA’s central forum for exchange of creative work and scholarly research at the Annual Conference—CAA does a great deal more to support its members, the lifeblood of the association. 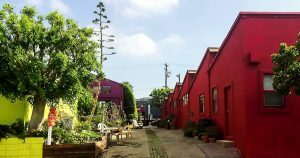 CAA subsidizes over half of its members through discounted membership and registration fees for students, retirees, part-time faculty, and independent artists and scholars. CAA has made part-time faculty issues a priority, recommending that tenured faculty and administrators in the visual arts implement its Guidelines for Part-Time Professional Employment and also providing a resources section on its website for part-time faculty. At the conference, CAA offers Professional-Development Workshops and mentoring opportunities for artists, art historians, designers, and students. CAA is also dedicated to strengthening its support of its international members. 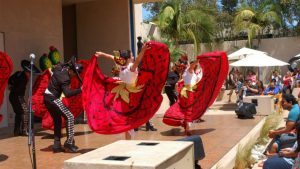 Recently CAA launched a section on its website devoted to international topics, the International Desk, which includes reports from around the world and listings of international grants, conferences, and residencies. In fall 2016, CAA will also launch CAA Connect, the digital social community where CAA members can discuss the latest in visual arts news and practices and collaborate on projects. CAA Connect will boast a number of private and public communities, each with its own discussion threads and resource libraries for multimedia content. We see it as an important tool in bringing together our members and the wider visual arts and humanities fields. Look for CAA Connect to launch in the fall of 2016. Voluntary support from CAA members is critical to our collective advancement and your contribution to the Annual Fund will enable CAA to continue providing invaluable resources to its members. On behalf of CAA’s diverse community of artists, art historians, curators, critics, collectors, designers, educators, and other arts professionals, I thank you for your commitment to CAA. Please give generously! As a member of the College Art Association, you understand the importance of the work of CAA in service to the individuals and institutions that make up the world’s largest international professional community in the visual arts. The Association supports and enhances the field through advocacy efforts on important issues such as those impacting populations, like part-time faculty, and the protection of archaeological and historical sites in countries of conflict, to name a few; vital professional tools like CAA’s Standards and Guidelines; critical projects like the Code of Best Practices in Fair Use for the Visual Arts; prestigious publishing grants for books; career-development resources, including the Online Career Center; Professional-Development Fellowships; new scholarship published in The Art Bulletin, Art Journal, and caa.reviews; and CAA’s forum for exchange of creative work, scholarly research and critical issues in the field at the Annual Conference. None of this would be possible without the support of dedicated members like you. With an ever-changing academic and museum landscape, CAA is responding to the evolving needs of its constituents. 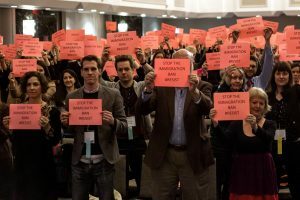 Many new member opportunities are being created, such as flexible and expanded Annual Conference programming, as well as new communication tools and platforms to further our dialogue beyond the conference. Even as CAA innovates, it continues its longstanding leadership in career development for early, mid, and senior level visual-arts professionals. Today, I ask that you support CAA’s important work with a gift to the Annual Fund. Your contribution will enable us to continue providing invaluable resources and services to members like you. Voluntary support from individuals is critical to our collective advancement, and your contribution to the Annual Fund makes this possible. Your gift will benefit those who share your dedication to the visual arts. Should you have given in the past, please know that your gift was very much appreciated. We hope you will continue your generosity at the same or even greater level. On behalf of the artists, art historians, collectors, critics, curators, designers, educators, and other professionals who make up CAA, I thank you for your dedication. Please give generously! P.S. This year’s conference in Washington, DC February 3–6 will be one that you will not want to miss. I look forward to seeing you there. CAA’s publications deliver the world’s leading scholarship in the visual arts in formats that include long-form essays, innovative artists’ projects, and critical reviews. With the addition of our new digital platforms, we can now engage readers with new multimedia forms of scholarly publications and broader interactive functionality. In The Art Bulletin, online versions of essays can now incorporate supplemental media files, for example, allowing Halle O’Neal to animate the calligraphy on a jeweled pagoda painting and Lisa Pon to model the effects of Raphael’s Acts of the Apostles tapestries on sound and music in the Sistine Chapel. Art Journal’s website, Art Journal Open, publishes probing interviews with artists and curators, most recently by curator Dina Deitsch exploring the creative processes of three artists with whom she worked on exhibitions, William Lamson, Kate Gilmore, and robbinschilds. Our fully open-access online publication caa.reviews now includes about 150 reviews a year, and covers digital publications on diverse topics and geographic regions, like Hypercities: Thick Mapping in the Digital Humanities (book and website, http://www.hypercities.com/). caa.reviews is now read on every continent, and its audience has grown over 100 percent since it became open access in January 2014. Readers like you enable CAA to carry out our work. Please support our mission of advancing the highest standards of intellectual engagement in the arts by making a fully tax-deductible gift to the Publications Fund today. These highly regarded journals reach tens of thousands of readers around the world and serve as essential resources to those working in the visual arts—none of which would be possible without your support. Contributors who give at a level of $250 or higher are prominently acknowledged in the publication they support for four consecutive issues, as well as on the publication’s website for one year, through CAA News, and in the Annual Conference’s convocation booklet. On behalf of the scholars, critics, and artists who publish in the journals, we thank you for your continued commitment to maintaining a strong and spirited forum for the visual-arts community. This year, CAA’s journals made impressive use of their new digital platforms to provide access to their incredibly rich and influential back archive, engage an ever-broadening international audience, and explore new multimedia forms of scholarly publication. These digital efforts augment and support the journals’ longstanding mission to deliver the world’s leading scholarship in the visual arts in forms that engage the field at its most exciting frontiers while maintaining a commitment to the rigorous standards for which they are known. We invite you to support our mission of advancing the highest standards of intellectual engagement in the arts by making a tax-deductible gift to the Publications Fund today. This was an exciting year for CAA’s publications—for the very first time The Art Bulletin and Art Journal were published online using a multi-media platform that allows authors to include video and hyperlinks directly in their essays, and caa.reviews became fully open-access with broader interactive functionality coming soon. Most important, the journals continued to bring readers more of what they expect from the world’s leading publisher of art history journals: exceptional in-depth scholarship exploring the full range of the visual arts, in formats as diverse as long-form essays, innovative artists’ projects, and critical reviews. It is the support of readers like you that enable CAA to carry out this vital work. Because you share our mission of advancing the highest standards of intellectual engagement in the arts, please make a tax-deductible gift to the Publications Fund today. With your support, CAA publications will continue to delight, challenge, and engage readers for many years to come. 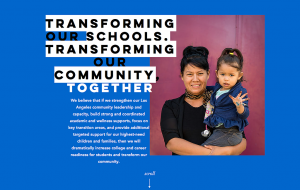 Contributors who give at a level of $250 or higher are prominently acknowledged in the publication they support for four consecutive issues, as well as on the publication’s website for one year and through CAA News. On behalf of the scholars, critics, and artists who publish in the journals, we thank you for your continued commitment to maintaining a strong and spirited forum for the visual-arts community. Since 1911, the College Art Association has served the individuals and institutions that make up the world’s largest professional association in the visual arts. Through its journals, standards and guidelines, resources on employment, advocacy, and its forum for exchange of creative and scholarly research at the Annual Conference, CAA supports and enhances the community in the visual arts. 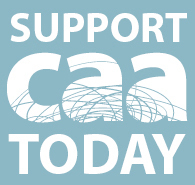 Today, I ask that you support all that CAA does with a gift to the Annual Fund. Your contribution to the Annual Fund will enable CAA to continue this momentum well into 2015. Voluntary support from CAA members is critical to our collective advancement, and your contribution to the Annual Fund makes this important work possible. On behalf of the artists, art historians, curators, critics, collectors, educators, and other professionals who make up CAA, I thank you for your dedication. Please give generously! For over a century, CAA has proudly represented the individuals and institutions that make up the world’s largest professional association in the visual arts. Since its founding, the organization is known for the engagement and steadfast dedication of its members. CAA is strengthened by every member who serves on a committee or jury, shares research and insight on Annual Conference panels and in journal articles, guides younger colleagues in our mentoring programs, and contributes in so many other ways. I hope we can count on your continued participation and support now and in the years to come. In return, CAA is devoted to honoring its members’ accomplishments, promoting scholarship, and providing essential resources—serving as the central hub for a vibrant and expanding community of visual-arts professionals. Today, I ask that you join your fellow members with a gift to the Annual Fund to support all that CAA does for the field. The generous, voluntary support of CAA members is critical to our collective advancement. Only in dialogue can we learn from diverse perspectives. Only with shared purpose can we shape the agenda for policy issues affecting the visual arts. Your contribution to the Annual Fund makes this important work possible. On behalf of the artists, art historians, curators, critics, collectors, educators, and other professionals who make up CAA, I thank you for your dedicated support; together we are a strong and dynamic visual-arts community. Please give generously! This year CAA’s three journals—The Art Bulletin, Art Journal, and caa.reviews—brought readers more of what they have come to expect from the world’s leading publisher of art-history journals: exceptional scholarship exploring the full range of the visual arts in formats as diverse as long-form essays, groundbreaking digital-media projects, and critical reviews. In today’s media landscape of repackaged content and 140-character tweets, sustaining the publication of in-depth, thought-provoking content is a challenge—it is the support of readers like you that enables CAA to do so. Because you share our mission of advancing the highest standards of intellectual engagement in the arts, please make a tax-deductible gift to the Publications Fund today. With your support, CAA publications will continue to delight, challenge, and engage readers for many years to come. On behalf of the scholars, critics, and artists who publish in the journals, we thank you for your continued commitment to maintaining a strong and spirited forum for the visual-arts community.